In compliance with the Energy Regulatory Commission's Order dated 12 February 2019 requiring MERALCO to, among other things, inform its consumers within its franchise area, by any other means available and appropriate, of the filing of the instant Application, its reasons therefor, and of the scheduled hearing in ERC Case No. 2019-005 RC entitled: "IN THE MATTER OF THE APPLICATION FOR APPROVAL OF THE EMERGENCY REPLACEMENT OF ONE (1) 33-MVA POWER TRANSFORMER AT TAGAYTAY SUBSTATION," we request you to please cause the posting of the attached Application, ERC's Order and Notice of Public Hearing on the Bulletin Boards in MERALCO's Website. In compliance with the Energy Regulatory Commission's Order dated 19 December 2018 requiring MERALCO to, among other things, inform the consumers within its franchise area, by any other means available and appropriate, about the extension of the refund implementation with the duration of the extended period of refund, we request you to please cause the posting of the attached Final Notice in MERALCO's Website. In compliance with the Energy Regulatory Commission's Order dated 10 December 2018 requiring the Independent Electricity Market Operator of the Philippines, Inc. (IEMOP) to request Distribution Utilities (DUs) to, among other things, inform its consumers of the filing of the instant Application, its reasons therefor, and of the scheduled hearing in ERC Case No. 2018-105 RC entitled: "IN THE MATTER OF THE APPLICATION FOR THE APPROVAL OF THE MARKET FEES FOR THE PHILIPPINE WHOLESALE ELECTRICITY SPOT MARKET (WESM)," we request you to please cause the posting of the attached IEMOP's Advisory and ERC's Notice of Public Hearing in the MERALCO's Website. In compliance with the Energy Regulatory Commission's Order dated 02 August 2018 requiring MERALCO and TLI to, among other things, inform the consumers within the affected franchise area, by any other means available and appropriate, of the filing of the instant Joint Application, its reasons therefor, and of the scheduled hearing in ERC Case No. 2018-082 RC entitled: "IN THE MATTER OF THE APPLICATION FOR APPROVAL AND RECOVERY FROM END-USERS OF THE PRICE ADJUSTMENT UNDER THE ERC-APPROVED PSA BETWEEN MANILA ELECTRIC COMPANY (MERALCO) AND THERMA LUZON, INC. (TLI), BROUGHT ABOUT BY THE IMPOSITION OF INCREASED EXCISE TAXES ON COAL UNDER THE “TAX REFORM FOR ACCELERATION AND INCLUSION” LAW, WITH PRAYER FOR PROVISIONAL AUTHORITY,"
In compliance with the Energy Regulatory Commission's Order dated 19 July 2018 requiring MERALCO to, among other things, inform its consumers within its affected franchise area, by any other means available and appropriate, of the filing of the instant Application, its reasons therefor, and of the scheduled hearing in ERC Case No. 2017-027 RC entitled: "IN THE MATTER OF THE APPLICATION FOR AUTHORITY TO IMPLEMENT THE PROPOSED CAPITAL EXPENDITURE PROGRAM FOR REGULATORY YEAR (RY) 2019, WITH PRAYER FOR PROVISIONAL AUTHORITY,"
In compliance with the Energy Regulatory Commission's Order dated 18 June 2018 requiring MERALCO to, among other things, inform its consumers within its franchise area, by any other means available and appropriate, of the filing of the instant Application, its reasons therefor, and of the scheduled hearing in ERC Case No. 2017-069 CF entitled: "IN THE MATTER OF THE APPLICATION FOR AUTHORITY TO: (A) IMPLEMENT THE NEW LOCAL FRANCHISE TAX (LFT) RATE IN THE CITY OF BIÑAN, PROVINCE OF LAGUNA; AND (B) RECOVER THE DIFFERENTIAL LFT FOR 2017 FROM CUSTOMERS IN SAID CITY UNDER THE TAX RECOVERY ADJUSTMENT CHARGE (TRAC) FORMULA, WITH PRAYER FOR PROVISIONAL AUTHORITY"
In compliance with the Energy Regulatory Commission's Order dated 20 March 2018 requiring MERALCO to, among other things, inform its consumers within its franchise area, by any other means available and appropriate, of the filing of the instant Application, its reasons therefor, and of the scheduled hearing in ERC Case No. 2018-006 RC entitled: "IN THE MATTER OF THE APPLICATION FOR APPROVAL OF THE EMERGENCY REPLACEMENT OF ONE (1) 83-MVA POWER TRANSFORMER AT URDANETA SUBSTATION"
In compliance with the Energy Regulatory Commission's Order dated 11 December 2017 requiring Applicants MERALCO and SPTC to, among other things, inform the consumers within MERALCO's franchise area, by any other means available and appropriate, of the filing of the instant Joint Application, its reasons therefor, and of the scheduled hearing in ERC Case No. 2017-094 RC entitled: "IN THE MATTER OF THE APPLICATION FOR THE APPROVAL OF THE POWER SUPPLY AGREEMENT (PSA) BETWEEN MANILA ELECTRIC COMPANY (MERALCO) AND SOLAR PHILIPPINES TARLAC CORPORATION (SPTC), WITH PRAYER FOR PROVISIONAL AUTHORITY AND MOTION FOR CONFIDENTIAL TREATMENT OF INFORMATION,"
In compliance with the Energy Regulatory Commission's Order dated 6 December 2017 requiring MERALCO to, among other things, inform its consumers within its franchise area, by any other means available and appropriate, of the filing of the instant Application, its reasons therefor, and of the scheduled hearing in ERC Case No. 2017-080 RC entitled: "IN THE MATTER OF THE APPLICATION FOR APPROVAL OF THE CONSTRUCTION OF THE NEW TERESA-TAGBAC 115 KV LINE, WITH PRAYER FOR PROVISIONAL AUTHORITY,"
In compliance with the Energy Regulatory Commission's Order dated 01 October 2016 requiring MERALCO to, among other things, inform its consumers within its franchise area, by any other means available and appropriate, of the filing of the instant Application, its reasons therefor, and of the scheduled hearing in ERC Case No. 2016-158 RC entitled: "IN THE MATTER OF THE APPLICATION FOR AUTHORITY TO RETIRE THE PALOMAR SUBSTATION LOCATED AT TONDO, MANILA AND TO WITHDRAW FROM SERVICE CERTAIN EQUIPMENT AND MACHINERY INSTALLED IN SAID SUBSTATION, WITH PRAYER FOR PROVISIONAL AUTHORITY,"
In compliance with the Energy Regulatory Commission's Order dated 1 June 2017 requiring Applicants MERALCO and PFBS to, among other things, inform the consumers within the MERALCO's affected franchise area, by any other means available and appropriate, of the filing of the instant Joint Application, its reasons therefor, and of the scheduled hearing in ERC Case No. 2017-012 RC entitled: "IN THE MATTER OF THE APPLICATION FOR THE APPROVAL OF THE POWER SUPPLY AGREEMENT (PSA) BETWEEN MANILA ELECTRIC COMPANY (MERALCO) AND POWERSOURCE FIRST BULACAN SOLAR, INC. (PFBS), WITH MOTION FOR CONFIDENTIAL TREATMENT OF INFORMATION,"
In compliance with the Energy Regulatory Commission's Order dated 15 May 2017 requiring MERALCO to, among other things, inform its consumers within its affected franchise area, by any other means available and appropriate, of the filing of the instant Application, its reasons therefor, and of the scheduled hearing in ERC Case No. 2017-027 RC entitled: "IN THE MATTER OF THE APPLICATION FOR AUTHORITY TO IMPLEMENT THE PROPOSED CAPITAL EXPENDITURE PROGRAM FOR REGULATORY YEAR (RY) 2018, WITH PRAYER FOR PROVISIONAL AUTHORITY,"
In compliance with the Energy Regulatory Commission's Order dated 11 May 2017 requiring MERALCO to, among other things, inform its consumers within its affected franchise area, by any other means available and appropriate, of the filing of the instant Application, its reasons therefor, and of the scheduled hearing in ERC Case No. 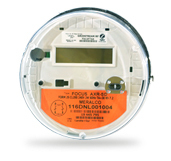 2017-060 CF entitled: "IN THE MATTER OF THE APPLICATION: (A) TO CONFIRM THE GENERATION RATE OVER/UNDER RECOVERY (GOUR); TRANSMISSION RATE OVER/UNDER RECOVERY (TOUR); SYSTEM LOSS RATE OVER/UNDER RECOVERY (SLOUR); LIFELINE SUBSIDY OVER/UNDER RECOVERY (LSOUR); SENIOR CITIZEN DISCOUNT AND SUBSIDY OVER/UNDER RECOVERY (SRDSOUR) PASS-THROUGH CHARGES FROM JANUARY 2014 TO DECEMBER 2016; AND REAL PROPERTY TAX PAYMENTS FROM JUNE 2014 TO DECEMBER 2016; AND (B) FOR AUTHORITY TO REFUND/RECOVER CONFIRMED OVER/UNDER RECOVERIES AND REAL PROPERTY TAX PAYMENTS, WITH PRAYER FOR PROVISIONAL AUTHORITY,"
In compliance with the Energy Regulatory Commission's Order dated 3 April 2017 requiring Applicants MERALCO and SPTC to, among other things, inform the consumers within the MERALCO's affected franchise area, by any other means available and appropriate, of the filing of the instant Joint Application, its reasons therefor, and of the scheduled hearing in ERC Case No. 2017-014 RC entitled: "IN THE MATTER OF THE APPLICATION FOR THE APPROVAL OF THE POWER SUPPLY AGREEMENT (PSA) BETWEEN MANILA ELECTRIC COMPANY (MERALCO) AND SOLAR PHILIPPINES TANAUAN CORPORATION (SPTC), WITH MOTION FOR CONFIDENTIAL TREATMENT OF INFORMATION,"
In compliance with the Energy Regulatory Commission's Order dated 22 March 2017 requiring MERALCO to, among other things, inform its consumers within its affected franchise area, by any other means available and appropriate, of the filing of the instant Application, its reasons therefor, and of the scheduled hearing in ERC Case No. 2017-020 RC entitled: "IN THE MATTER OF THE APPLICATION FOR APPROVAL OF THE IMPLEMENTATION OF ITS ADVANCED METERING INFRASTRUCTURE (AMI) PROJECT,"
In compliance with the Energy Regulatory Commission's Order dated 6 March 2017 requiring Applicants MERALCO and MPPCL to, among other things, inform the consumers within the MERALCO's affected franchise area, by any other means available and appropriate, of the filing of the instant Joint Application, its reasons therefor, and of the scheduled hearing in ERC Case No. 2016-180 RC entitled: "IN THE MATTER OF THE APPLICATION FOR THE APPROVAL OF THE EXTENSION OF THE POWER SUPPLY AGREEMENT (PSA) BETWEEN MANILA ELECTRIC COMPANY (MERALCO) AND MASINLOC POWER PARTNERS CO., LTD. (MPPCL), WITH MOTION FOR CONFIDENTIAL TREATMENT OF INFORMATION,"
In compliance with the Energy Regulatory Commission's Order dated 6 March 2017 requiring MERALCO to, among other things, inform its consumers within its affected franchise area, by any other means available and appropriate, of the filing of the instant Application, its reasons therefor, and of the scheduled hearing in ERC Case No. 2016-036 CF entitled: "IN THE MATTER OF THE APPLICATION FOR AUTHORITY TO: (A) IMPLEMENT THE NEW LOCAL FRANCHISE TAX (LFT) RATES IN THE CITIES OF MANILA AND QUEZON; AND (B) REFUND/RECOVER THE DIFFERENTIAL LFT FOR 2014 TO 2016 TO/FROM CUSTOMERS IN SAID CITIES UNDER THE TAX RECOVERY ADJUSTMENT CHARGE (TRAC) FORMULA, WITH PRAYER FOR PROVISIONAL AUTHORITY,"
In compliance with the Energy Regulatory Commission's Order dated 6 March 2017 requiring MERALCO to, among other things, inform its consumers within its affected franchise area, by any other means available and appropriate, of the filing of the instant Application, its reasons therefor, and of the scheduled hearing in ERC Case No. 2016-166 RC entitled: "IN THE MATTER OF THE APPLICATION FOR APPROVAL OF THE EMERGENCY REPLACEMENT OF ONE (1) 83-MVA POWER TRANSFORMER AT BALINTAWAK SUBSTATION,"
In compliance with the Energy Regulatory Commission's Order dated 6 March 2017 requiring MERALCO to, among other things, inform its consumers within its affected franchise area, by any other means available and appropriate, of the filing of the instant Application, its reasons therefor, and of the scheduled hearing in ERC Case No. 2016-193 RC entitled: "IN THE MATTER OF THE APPLICATION FOR AUTHORITY TO RETIRE THE MAKATI SUBSTATION LOCATED AT BARANGAY STA. CRUZ, MAKATI CITY AND TO WITHDRAW FROM SERVICE CERTAIN EQUIPMENT AND MACHINERY INSTALLED IN SAID SUBSTATION, WITH PRAYER FOR PROVISIONAL AUTHORITY,"
In compliance with the Energy Regulatory Commission's Order dated 6 March 2017 requiring Applicants MERALCO and SPDC to, among other things, inform the consumers within the MERALCO's affected franchise area, by any other means available and appropriate, of the filing of the instant Joint Application, its reasons therefor, and of the scheduled hearing in ERC Case No. 2017-004 RC entitled: "IN THE MATTER OF THE APPLICATION FOR THE APPROVAL OF THE INTERIM POWER SUPPLY AGREEMENT (IPSA) BETWEEN MANILA ELECTRIC COMPANY (MERALCO) AND STRATEGIC POWER DEVT. CORP. (SPDC), WITH MOTION FOR CONFIDENTIAL TREATMENT OF INFORMATION,"
In compliance with the Energy Regulatory Commission's Order dated 8 February 2017 requiring MERALCO to, among other things, inform its consumers within its franchise area, by any other means available and appropriate, of the filing of the instant Application, its reasons therefor, and of the scheduled hearing in ERC Case No. 2017-008 RC entitled: "IN THE MATTER OF THE APPLICATION FOR APPROVAL OF THE STAGGERED RECOVERY AND PAYMENT OF THE DIFFERENTIAL GENERATION CHARGE FOR THE FEBRUARY 2017 SUPPLY MONTH, WITH PRAYER FOR PROVISIONAL AUTHORITY,"
In compliance with the Energy Regulatory Commission's Order dated 5 January 2017 requiring Applicants MERALCO and CLPPC to, among other things, inform the consumers within MERALCO's franchise area, by any other means available and appropriate, of the filing of the instant Joint Application, its reasons therefor, and of the scheduled hearing in ERC Case No. 2016-112 RC entitled: "IN THE MATTER OF THE APPLICATION FOR THE APPROVAL OF THE POWER SUPPLY AGREEMENT (PSA) BETWEEN MANILA ELECTRIC COMPANY (MERALCO) AND CENTRAL LUZON PREMIERE POWER CORPORATION (CLPPC)"
In compliance with the Energy Regulatory Commission's Order dated 5 December 2016 requiring MERALCO to, among other things, inform its consumers within its franchise area, by any other means available and appropriate, of the filing of the instant Application, its reasons therefor, and of the scheduled hearing in ERC Case No. 2016-182 RC entitled: "IN THE MATTER OF THE APPLICATION FOR AUTHORITY TO IMPLEMENT A NEW CUSTOMER INFORMATION SYSTEM (CIS), WITH PRAYER FOR PROVISIONAL AUTHORITY,"
In compliance with the Energy Regulatory Commission's Order dated 9 November 2016 requiring MERALCO to, among other things, inform its consumers within its franchise area, by any other means available and appropriate, of the filing of the instant Application, its reasons therefor, and of the scheduled hearing in ERC Case No. 2016-161 RC entitled: "IN THE MATTER OF THE APPLICATION FOR APPROVAL OF EMERGENCY AND/OR URGENT MAJOR CAPITAL EXPENDITURE (CAPEX) PROJECTS,"
In compliance with the Energy Regulatory Commission's Order dated 24 October 2016 requiring Applicants MERALCO and SRPGC to, among other things, inform the consumers within MERALCO's franchise area, by any other means available and appropriate, of the filing of the instant Joint Application, its reasons therefor, and of the scheduled hearing in ERC Case No. 2016-093 RC entitled: "IN THE MATTER OF THE APPLICATION FOR THE APPROVAL OF THE POWER SUPPLY AGREEMENT (PSA) BETWEEN MANILA ELECTRIC COMPANY (MERALCO) AND ST. RAPHAEL POWER GENERATION CORPORATION (SRPGC), WITH MOTION FOR CONFIDENTIAL TREATMENT OF INFORMATION,"
In compliance with the Energy Regulatory Commission's Order dated 03 October 2016 requiring Applicants MERALCO and RPE to, among other things, inform the consumers within MERALCO's franchise area, by any other means available and appropriate, of the filing of the instant Joint Application, its reasons therefor, and of the scheduled hearing in ERC Case No. 2016-084 RC entitled: "IN THE MATTER OF THE APPLICATION FOR THE APPROVAL OF THE POWER SUPPLY AGREEMENT (PSA) BETWEEN MANILA ELECTRIC COMPANY (MERALCO) AND REDONDO PENINSULA ENERGY, INC. (RPE), WITH MOTION FOR CONFIDENTIAL TREATMENT OF INFORMATION,"
In compliance with the Energy Regulatory Commission's Order dated 5 September 2016 requiring Applicants MERALCO and A1E to, among other things, inform the consumers within MERALCO's franchise area, by any other means available and appropriate, of the filing of the instant Joint Application, its reasons therefor, and of the scheduled hearing in ERC Case No. 2016-092 RC entitled: "IN THE MATTER OF THE APPLICATION FOR THE APPROVAL OF THE POWER SUPPLY AGREEMENT (PSA) BETWEEN MANILA ELECTRIC COMPANY (MERALCO) AND ATIMONAN ONE ENERGY, INC. (A1E), WITH MOTION FOR CONFIDENTIAL TREATMENT OF INFORMATION,"
In compliance with the Energy Regulatory Commission's Order dated 30 August 2016 requiring Applicants MERALCO and MMPC to, among other things, inform the consumers within MERALCO's franchise area, by any other means available and appropriate, of the filing of the instant Joint Application, its reasons therefor, and of the scheduled hearing in ERC Case No. 2016-142 RC entitled: "IN THE MATTER OF THE APPLICATION FOR APPROVAL OF THE MEMORANDUM OF AGREEMENT BETWEEN MANILA ELECTRIC COMPANY AND MONTALBAN METHANE POWER CORPORATION, WITH PRAYER FOR PROVISIONAL AUTHORITY,"
In compliance with the Energy Regulatory Commission's Order dated 9 August 2016 requiring Applicants MERALCO and PEDC to, among other things, inform the consumers within MERALCO's franchise area, by any other means available and appropriate, of the filing of the instant Joint Application, its reasons therefor, and of the scheduled hearing in ERC Case No. 2016-114 RC entitled: "IN THE MATTER OF THE APPLICATION FOR THE APPROVAL OF THE POWER SUPPLY AGREEMENT (PSA) BETWEEN MANILA ELECTRIC COMPANY (MERALCO) AND PANAY ENERGY DEVELOPMENT CORPORATION (PEDC),"
In compliance with the Energy Regulatory Commission's Order dated 11 July 2016 requiring MERALCO to, among other things, inform its consumers within its franchise area, by any other means available and appropriate, of the filing of the instant Application, its reasons therefor, and of the scheduled hearing in ERC Case No. 2016-040 RC entitled: "IN THE MATTER OF THE APPLICATION FOR APPROVAL OF THE EMERGENCY INSTALLATION OF ONE (1) 83 MVA POWER TRANSFORMER AT NORTH PORT SUBSTATION,"
In compliance with the Energy Regulatory Commission's Order dated 23 May 2016 requiring MERALCO to, among other things, inform its consumers within its franchise area, by any other means available and appropriate, of the filing of the instant Application, its reasons therefor, and of the scheduled hearing in ERC Case No. 2016-001 CF entitled: "IN THE MATTER OF THE APPLICATION TO CONFIRM THE GENERATION RATE OVER/UNDER RECOVERY (GOUR) FOR SPECIAL PROGRAMS COVERING THE PERIOD MARCH 2007 TO DECEMBER 2011, AND FOR AUTHORITY TO RECOVER CONFIRMED GOUR, WITH PRAYER FOR PROVISIONAL AUTHORITY,"
In compliance with the Energy Regulatory Commission's Order dated 13 April 2016 requiring MERALCO to, among other things, inform its consumers within its franchise area, by any other means available and appropriate, of the filing of the instant Application, its reasons therefor, and of the scheduled hearing in ERC Case No. 2016-017 RC entitled: "IN THE MATTER OF THE APPLICATION FOR AUTHORITY TO IMPLEMENT THE PROPOSED CAPITAL EXPENDITURE PROGRAM FOR REGULATORY YEAR (RY) 2017, WITH PRAYER FOR PROVISIONAL AUTHORITY,"
In compliance with the Energy Regulatory Commission's Order dated 7 March 2016 requiring MERALCO, TPC, and PPC to, among other things, inform the consumers within MERALCO's franchise area, by any other means available and appropriate, of the filing of the instant Joint Application, its reasons therefor, and of the scheduled hearing in ERC Case No. 2016-009 RC entitled: "IN THE MATTER OF THE APPLICATION FOR THE APPROVAL OF THE INTERIM POWER SUPPLY AGREEMENTS BETWEEN: (A) MANILA ELECTRIC COMPANY (MERALCO) AND TOLEDO POWER CO. (TPC); AND (B) MERALCO AND PANAY POWER CORPORATION (PPC), WITH PRAYER FOR PROVISIONAL AUTHORITY,"